Did you know today is World Nutella Day? That's right, friends, an entire day devoted to enjoying that delightful and delicious blend of hazelnut and chocolate! We eat an obscene amount of Nutella around here... my kids and husband love to eat it with graham crackers, slather it on toast, or even just scoop it out of the container with spoons. 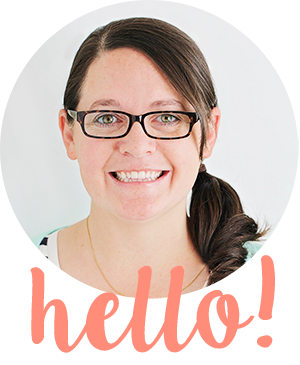 I love creating recipes with it, and it makes for a delicious substitute for peanut butter in lots of different recipes. 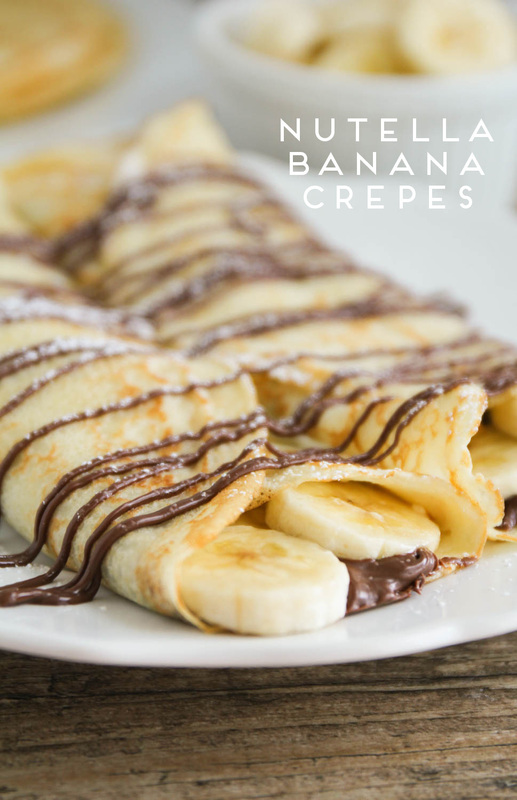 These Nutella banana crepes are a new twist on my favorite crepe recipe, and they are not only super easy to make, they're also indulgent and delicious! Add the eggs, canola oil, sugar, flour, milk, and vanilla to a blender or food processor and blend until smooth. Heat a 10 inch nonstick skillet over medium heat. Grease lightly with butter or cooking spray. Pour a small amount of crepe batter into the pan, and move the pan in a circular motion to coat the entire bottom of the pan with batter. Let cook about thirty to sixty seconds, or until the edges of the batter bubble slightly, and it's easy to slide a spatula under the edge of the crepe. Flip using a spatula and cook another fifteen to thirty seconds. Remove from pan and stack on a plate. 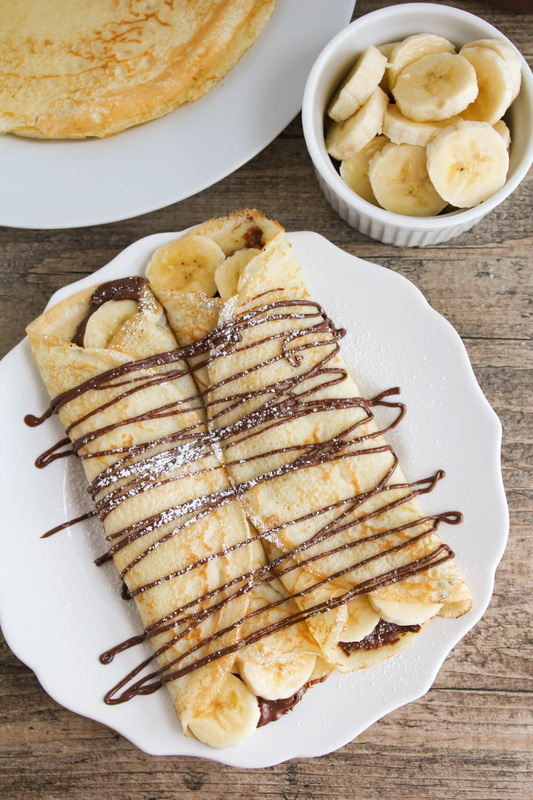 Spread each crepes with about a tablespoon of Nutella down the middle, then top with sliced bananas. Roll up the crepes. Drizzle with additional Nutella if desired, and sprinkle with powdered sugar. For more delicious Nutella recipes from my other #celebratingfood blogging friends, check out the links below! Nutella Strawberry Pie from Jamie Cooks it Up! 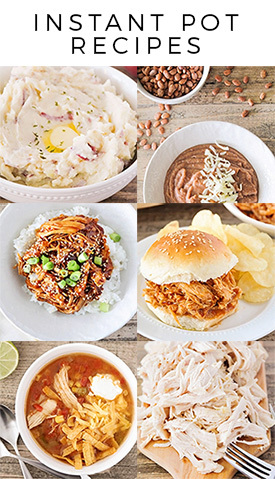 And as a bonus, 10 more delicious Nutella recipes to enjoy! Whipped Nutella Mousse from Jamie Cooks it Up! Oh. My. Gosh. I REALLY wish I had these crepes for breakfast right now. Nutella and banana is such an amazing combo!! I am totally drooling- these crepes look scrumptious!! I just made crepes last night. Savory ones though. Which means I NEED a dessert crepe STAT!